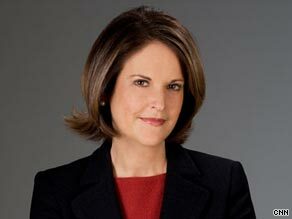 Gloria Borger says Republicans agree on much of health care reform but don't want to give Obama a victory. WASHINGTON (CNN) -- Now is the time for all long debates to come to an end. The nation has been discussing what to do about burgeoning health care costs and shrinking insurance coverage for much of the past 16 years, not to mention all of the last few months. As President Obama has rightly pointed out, we're debated-out. Few minds are likely to be changed at this point. So, an idea. If Republicans are really interested in passing some version of health reform, as they say, how about this? Call Obama's bluff. The standard line we hear these days from both sides is that "we agree on 80 percent" of the parameters of reform -- issues like coverage for pre-existing conditions and improving the Medicare prescription drug benefit, for instance. So if there is a slew of agreements that have been hashed out by both sides in committee, why not separate them out and pass them -- with a bipartisan vote. After all, the president says he wants bipartisanship; the Republicans say they want reform. So why not agree on what they can agree on? Save the rest for later, in a separate measure. Test the president by offering him what he says he wants. Ah, but that's not the way the game is being played. This health reform debate has devolved into something more politically fundamental: survival. For the Democrats, it's about proving they can govern as a majority. And for the Republicans, it's about keeping their fingerprints off any large Obama opus, so they can point those fingers in 2010 -- and win back congressional seats. Republican leaders have clearly made a short-term political calculation: The public is cooling to the president's proposals, so score points and stay away from any unity with Barack Obama. He's portrayed as the liberal, the socialist, the big spender and taxer. Do not get in his way. If we leave him to his own devices, Obama will rebuild the GOP base for us. Sure, there's some truth to that. And it's also easy, when there's not much else in the offing -- either in leaders or new ideas. But there's also a problem with the notion that an opposition-only party is just fine. "Voters look at us and say we're not even in the game," says one GOP strategist. "We need to start waking up and start to become a party that can lead." It's a notion supported by the latest CNN/Opinion Research Corporation poll, in which voters were asked whether "Republicans are generally offering constructive criticism or are they being obstructionist for mostly political reasons?" Their answer: Sixty-one percent said obstructionist. That's not surprising, since it is the de facto congressional strategy. The problem is that when voters, particularly those important independent voters, look for an alternative, they often like to know what the party out of power would do if it were given a chance to lead. The congressional strategy is only compounded by the GOP leadership vacuum. It's always hard when you don't own the bully pulpit of the White House, but Republicans can't seem to find anyone to really take the stage at all. That became crystal clear last week when Rep. Joe Wilson decided to call the president a liar during his address to a joint session of congress. Wilson became the angry, undisciplined voice of the GOP. He was an embarrassment -- both to himself and to his party. If that's what the GOP wants, it may help rebuild its base. But nothing more.